Superintendent of Public Instruction Sherri Ybarra did not attend any of the legislative committee hearings on her schedule this week. Ybarra would have been in for a busy week, according to the schedule her staff made public early Monday. The schedule listed nine different education committee meetings — two per day from Monday through Thursday, and another on Friday morning. 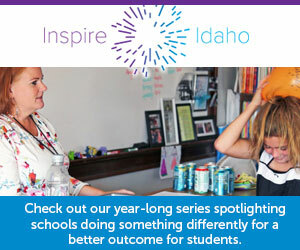 Most of those meetings never happened, as Idaho Education News predicted. For the two education committee meetings that did, Ybarra was a no-show. The House Education Committee met briefly at 9 a.m. Tuesday to approve minutes and honor its student page and secretary. Ybarra did not attend. The Senate Education Committee met at 8 a.m. on Wednesday for the final hearing on a pared-down school funding formula bill. The funding formula debate was one of the most hotly contested issues of the year. All the major education groups, the bill’s House sponsors and two Ybarra deputies, Marilyn Whitney and Tim Hill, attended the meeting. Ybarra did not attend — and she was a member of the legislative interim committee that developed the basic elements of a proposal to rewrite Idaho’s funding formula. Ybarra’s schedule said the meeting would take place at 3 p.m., Senate Education’s traditional meeting time, but the committee actually met at 8 a.m.
State Department of Education spokeswoman Kris Rodine pointed out that Ybarra’s schedule always notes she will attend education committee meetings “as needed for SDE business.” Rodine also said Ybarra met with two of the funding formula bill’s co-sponsors on Tuesday, the day before the Senate Education hearing. Ybarra’s staff created this week’s schedule at the last minute after a scheduling mishap. Last Friday, Ybarra announced that she would embark on a post-legislative session roadshow, which would take her through Boise, Twin Falls and Idaho Falls this week — despite the fact that the legislative session has not yet ended and the funding formula issue was unresolved. Ybarra’s communications team did a 180 and postponed the legislative roadshow just 2 1/2 hours after publicly announcing it. That freed up Ybarra’s week. She did not choose to attend legislative committee meetings and Rodine did not respond to Idaho Education News’ question asking where she was instead.